High school students throughout Pennsylvania spent the week at Point Park University exploring the accounting field as part of the sixth annual Accounting Career Awareness Program, held June 24-29. 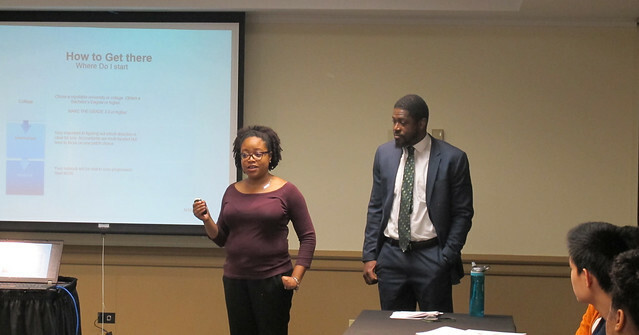 The goal of ACAP, which is part of the National Association of Black Accountants, Inc., is to increase understanding among high school students in underrepresented minority groups about the field of accounting and its many career opportunities. “I’ve never been to Pittsburgh before so it has been a cool experience. Before coming here, I didn’t know much about accounting. I thought it was just about crunching numbers. I’ve learned there are so many different areas and careers in accounting,” said Elijah Brown, a sophomore at Conestoga High School in Berwyn, Pa.
Other schools represented by students included Great Valley High School, George Washington Carver High School of Engineering and Science, Hollidaysburg High School, Our Lady of Sacred Heart High School, Parkway Center City Middle College High School, Penn Hills High School, Propel Andrew Street High School and University Prep (part of Pittsburgh Public Schools). 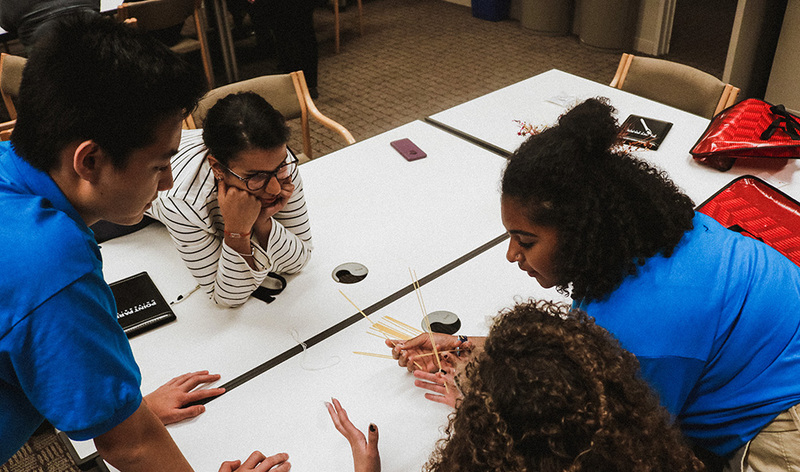 During the six-day program, the high school students traveled to public accounting firms EY, PwC and Sisterson & Co. LLP to meet with professionals and see first hand what it's like to work in the field. “My favorite part was visiting the accounting firms and learning about the different career opportunities. Math is my thing, but I’m also very interested in the business and technical fields,” said Shannia Goodman, a senior at Parkway Center City Middle College High School in Philadelphia, Pa.
Students were also exposed to entrepreneurial thinking, financial literacy, information technology, public speaking, interviewing, writing, networking, etiquette dining and more. “I enjoyed the etiquette dinner hosted by the Career Development Center. It really made me feel like I was at a professional business dinner,” said Alona Hoye, a senior at Penn Hills High School in Pittsburgh. However, for the ACAP students it wasn't all business. Recreational activities were incorporated throughout the week and included bowling, laser tag, arcade games and an evening trip to Kennywood Amusement Park. Edward Scott, C.P.A., MBA, Point Park's George Rowland White Endowed Professor in Accounting and Finance, began ACAP at Point Park in 2013 and continues to lead the program each year. Graduate assistant Paulina Krys and several Point Park faculty, staff and students including Darnita Holmes '18, information technology graduate and post-baccalaureate accounting student, also helped with the program. “All of the ACAP students have curious minds and have asked great questions. The principles and staff at EY were very impressed with the students and had great things to say about them. I’ve enjoyed watching the students’ progress. Their presentations got better each day. I love ACAP. It’s been an amazing experience giving back,” Holmes said.